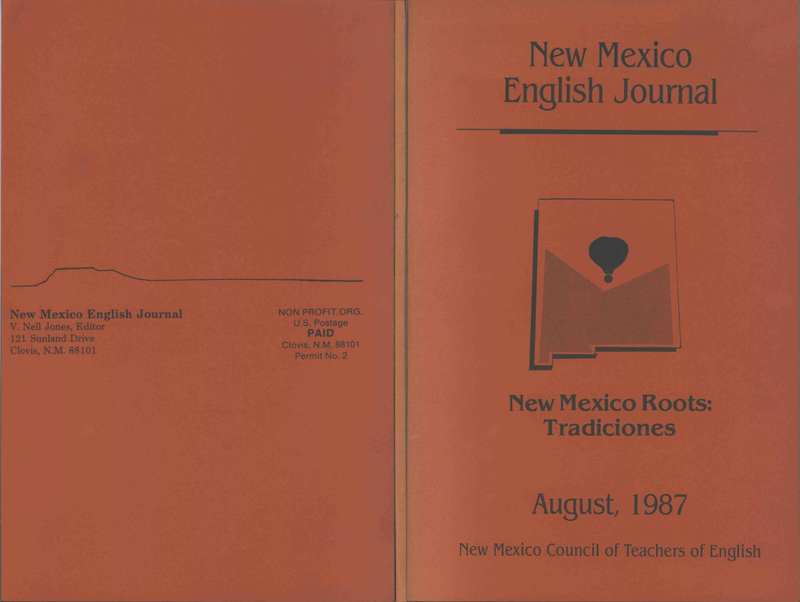 This is the full and detailed view of the August 1987 issue of the New Mexico English Journal, published by the New Mexico Council of Teachers of English. Entitled "New Mexico Roots: Tradiciones," this issue contains an article by Tony Hillerman reprinted from the June 1987 issue of American West. The article is on pages 3-6 of this volume and is called "Enchanted New Mexico Is One of Ours." The journal issue is bound in red paper, with black printing. 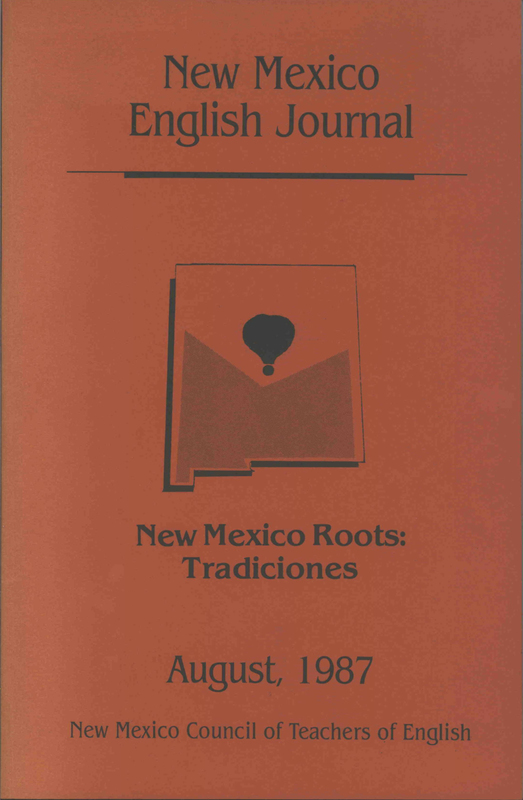 The front cover displays the journal name, issue title, publication date, and publisher name, above and below a simple graphic of the outline of the state of New Mexico. Inside the outline, a hot air balloon rises from a greyscale shadow covering the southern part of the state, perhaps an abstract representation of mountains. The back cover contains the Journal's mailing address and postage permit. The spine is blank.